And we’re back! Another November, another Extra Life board gaming challenge between Rachel and I to raise funds for Toronto’s Sick Kids Hospital AND to determine who the 2017 household board gaming champion is. If you want to learn more about what we’re doing and why we’re doing it check out the 2017 Extra Life Board Game Challenge page. We decided since Rachel is the reigning champion she would get to pick our opening game and she picked a toughy for me. 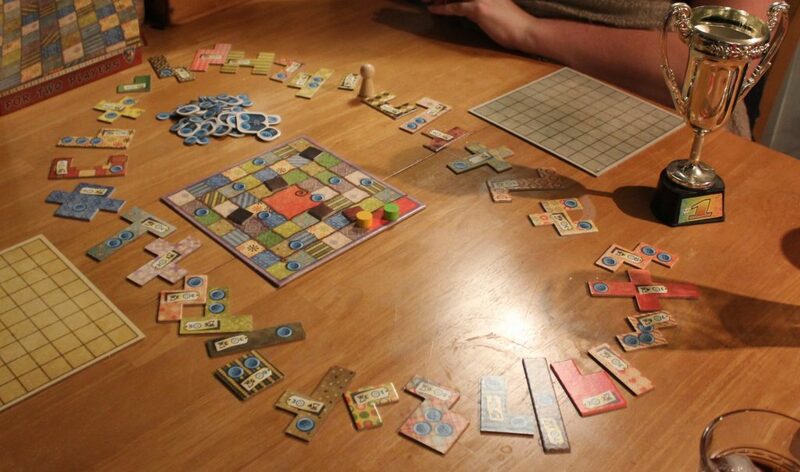 She picked Patchwork, a game where she has a 100% win rate in our recorded history. 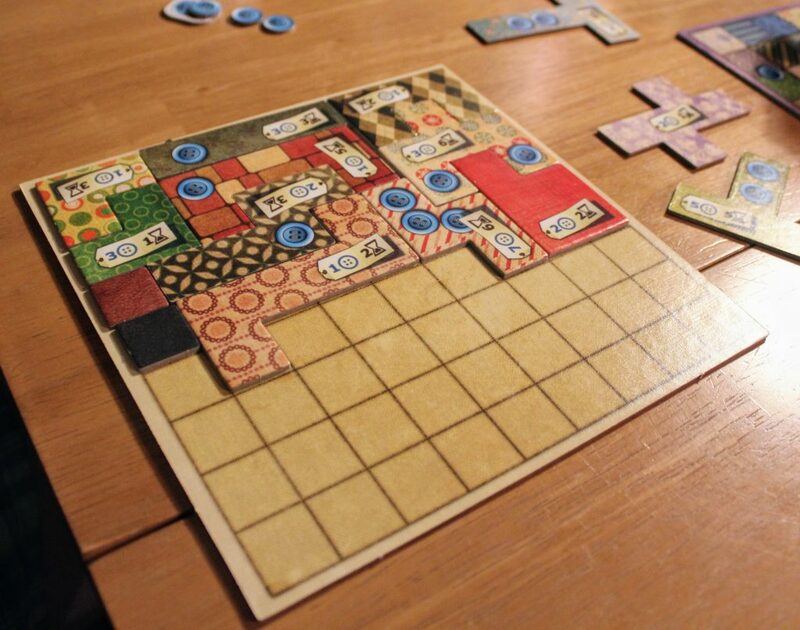 Patchwork is a cool puzzle game where you need to fill in a board of blank spaces using cool little Tetris pieces. Sounds easy enough? Well you need to do all of this balancing a limited amount of time and a pool of money and income to buy the pieces. If you want to see a video with details on how to play you can view that here. This was a shrewd move on Rachel’s part. She does not lose at Patchwork so this was going to be an uphill battle for me. The first game I played an almost perfect game. I don’t know what happened but the puzzle really clicked for me in the first game and I ended up winning 19-11. I even managed to get this bonus tile that you get for completing a 7×7 space on your grid. You need to understand here: I’ve literally never managed to get this tile before, so far looking good for me! What a cracker of a start! Rachel played what she thought was a trump card and boy I played an amazing game in the first game and managed to get lucky in the second for the win. Rachel will get to pick the game again tomorrow and I imagine she’ll be coming back very strong. If you’d like to donate to support our efforts to raise money for Toronto’s Sick Kids hospital please see our 2017 Extra Life Board Game Challenge page for details on how to donate. 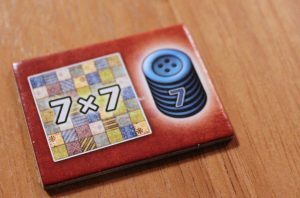 Raising funds again for Extra Life, the board game challenge returns!